Buried treasure in Massachusetts is more than just pirate treasure. Although the State is rich in pirate lore, there are many other treasure tales that exist. If you own a metal detector it will make your lost treasure search much easier. Are you thinking of purchasing one? Do not break the bank when buying one. $250 is a good price to spend on your first detector. Once you learn the hobby, and understand how your basic detector works, then it makes sense to purchase a metal detector with more technology. Here are stories of lost treasure in Massachusetts. The Dungeon Rock Cave, located near Lynn, at the mouth of the Saugus River, may hold a pirate treasure. In 1658, pirate Thomas Veale supposedly buried several chests of gold and silver coins near or inside the cave. Chelsea is a town on the north side of Boston Harbor. In the 1900’s Chelsea was a wealthy town inhabited by the very rich. In 1908 a vicious fire destroyed most of the town. Many hidden valuables were lost and or destroyed. In 1921 a worker found approximately $50,000 in gold coins and silverware in a field near a destroyed building. 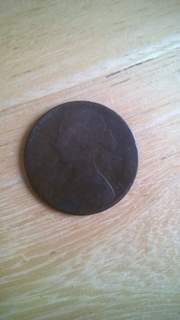 Spanish and British coins dating from the eighteenth century, are being found on the beach between Short Beach and Grover’s Cliff in Withrop, located on the north side of Boston Harbor. The coins are most likely from the many vessels that have wrecked in the harbor. Gallop‘s Island may hold a chest of diamonds and gold coins buried by the pirate Avery. Over the years many coins have been found on the beaches of the island. Money Bluff on Deer Island supposedly holds various treasures buried by pirates. Good Luck if you search! Know What The Laws Are - before you search for any treasure. Do you know what artifacts to dig without breaking the law? Some individuals break the law, and don’t know it until they are caught. Exploring History’s Treasures was a metal detecting, TV series I produced. The show was not popular with the archaeologists. They tried very hard to shut down my production. They said we were breaking the law. But they lied. I fought back, and they were proved to be wrong. Buried treasure in Massachusetts may be located in ghost towns.